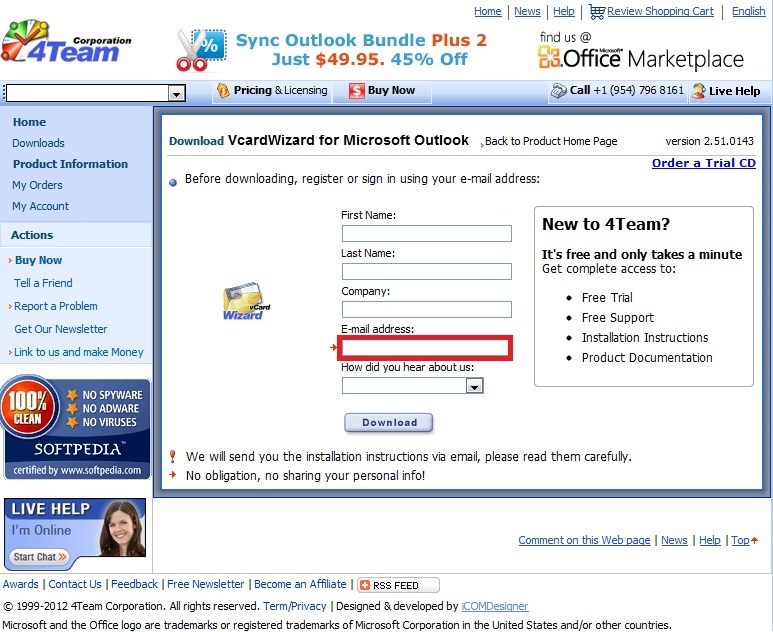 vCard Wizard allows you to import vCard format files to the chosen Microsoft Outlook Contact Folder and Export any Contacts Folder to the vCard format. 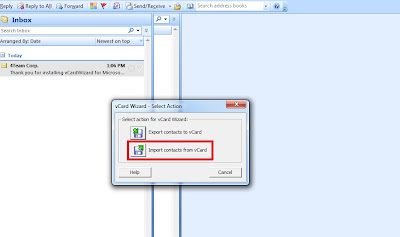 Below are step by step instructions on how to import/export contacts using vCard Wizard program. 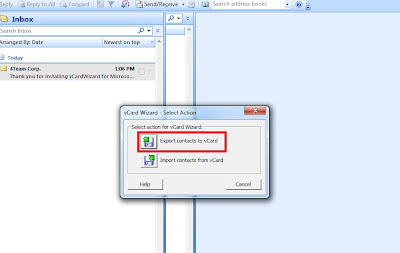 Double-click on vCarWizard to start the program and Outlook will pop-up. 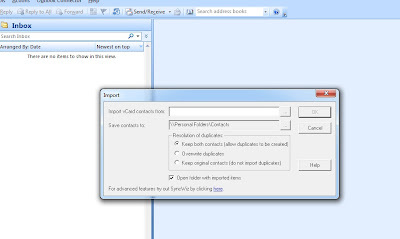 'Export contacts from folder:' allows you to select a calendar folder where your contacts are located. 'Save vCard files to:' gives you the option to choose vCard file(s) destination folder. 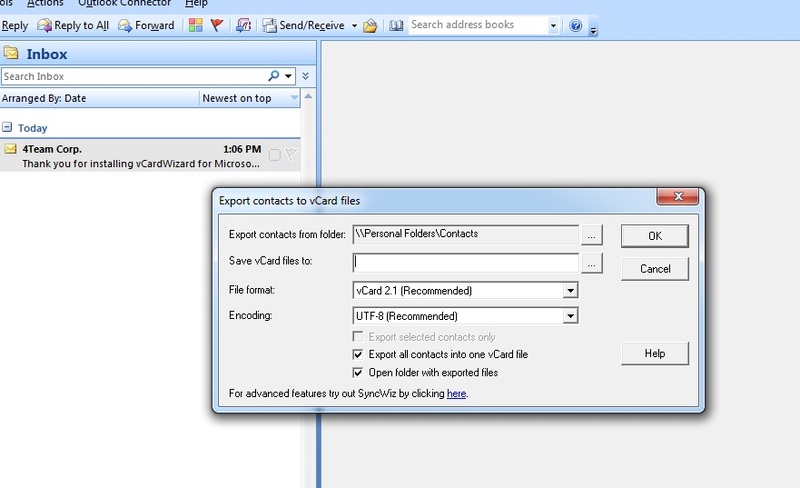 'Format file:' let you choose between vCard 2.1 and vCard 3.0 format. 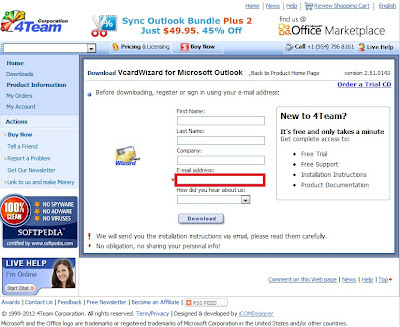 Please read more about vCard formats using this link. 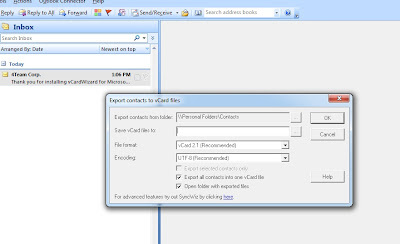 Export selected contacts only, Export all contacts into one vCard file, Open folder with exported files check-boxes. 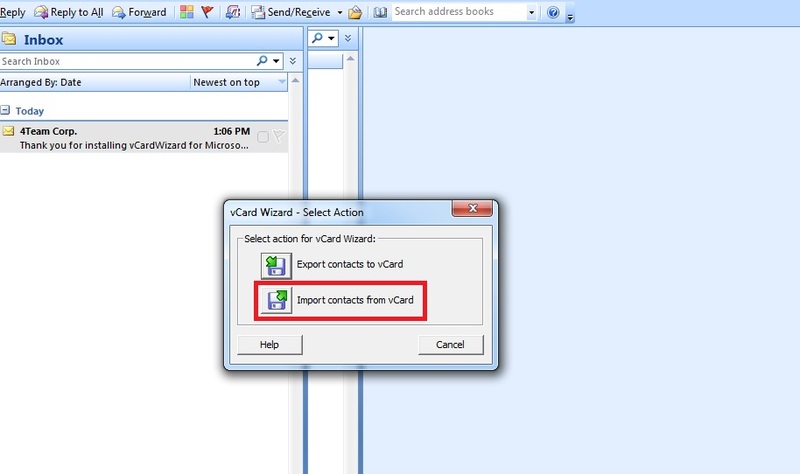 'Save contacts to:' allows you to choose Outlook folder location where information should be stored. 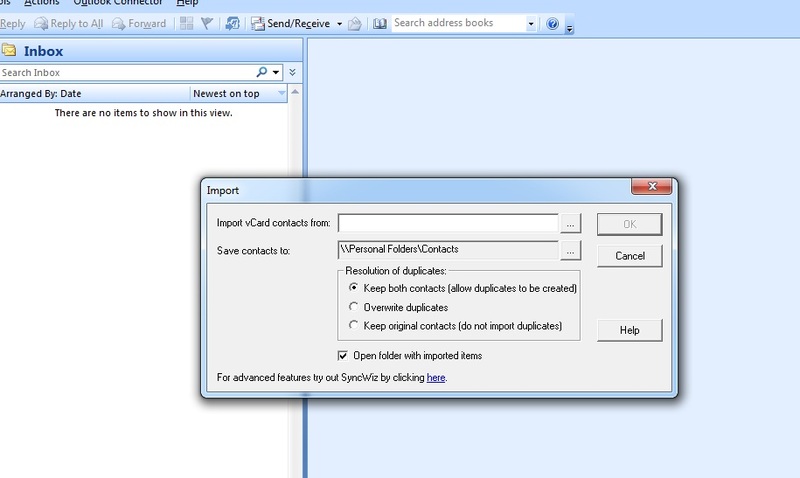 'Open folder with imported items' check-box opens Outlook contact folder. This entry was posted on Thursday, March 1, 2012 at 6:16 AM. You can follow any responses to this entry through the RSS 2.0. You can leave a response.